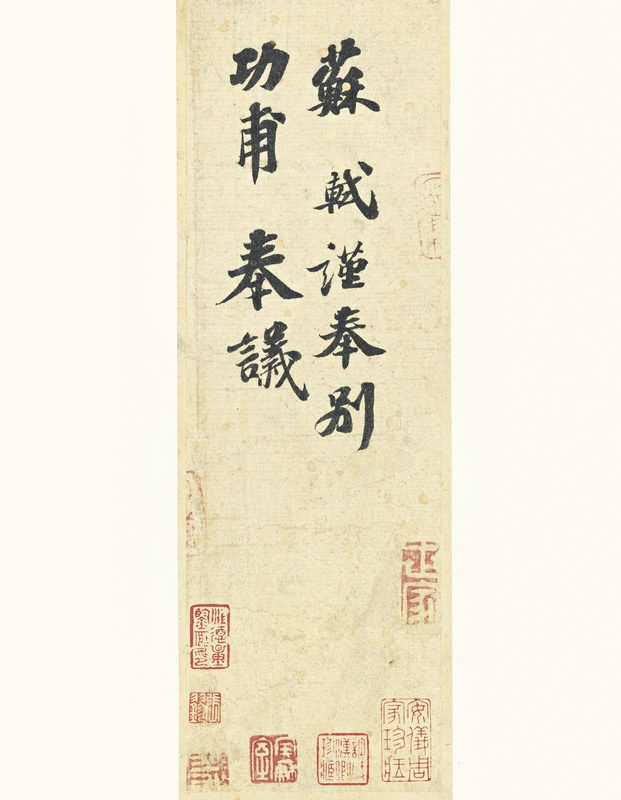 In September Sotheby’s sold this scroll for $8.2 million to a Shanghai businessman, Liu Yiqian. At the time of the sale the work was described as an important work which is over one-thousand years old. Perhaps one of the most important works of calligraphy, which bore seals indicated important historical figures had owned the piece. Now Sotheby’s is aggressively defending against these allegations. No surprise given the devastating consequences this might have for the auction house just as it attempts to make strides the Asian art market, and move past the embarrassing dispute over the recently-returned looted Koh Ker statue from Cambodia. In a 14-page report, published in Chinese, Sotheby’s said it had found no evidence that the work, Gong Fu Tie, by the Song Dynasty poet Su Shi, was a forgery. The piece has long been considered one of the greatest works of calligraphy. In a statement, Sotheby’s said it “firmly stands by” the piece as a work produced by Su Shi. “We have published a detailed and comprehensive analysis rebutting each of the issues raised about the authenticity of the work,” the auction house said in a statement. “This report demonstrates that the brushwork of The Gong Fu Tie Calligraphy is inconsistent with that of a late copy or tracing as was alleged and is of such high quality that it could only have been created by a masterly hand using a soft brush. The reports I have seen of Sotheby’s arguments focus on technical aspects of the object. The brushwork and other details. Nothing I have seen yet talks about the history of the object itself. Who owned it? What is the ownership history before the 19th century, if any? Those may of course be difficult or impossible questions to answer given the length of time. And yet those are the best possible arguments. They are ones that auction houses have been often unable to use, because they have too long been hesitant to look at this kind of deep history of objects, training their buyers instead on the aesthetic and other merits of objects as a means to generate value. It’s the highest purchase you can achieve that at this point. A good eye cream can eliminate the effects of that sleepless night. mentioned on the product level at first.